I was lucky enough to see that there may be massive repercussions to the Newtown shooting. As I said in the post yesterday, I had no idea it would wipe out the whole gun market. At this point, if you need something other than magazines, I would not purchase it. If you are looking to get a 10/22 or a new AR, I would wait. The market is starting to come back but those items that are available are at absorbanent prices. I saw a Keltec Sub200 (a $350 rifle) sell for $1200 the other day = insanity! I don’t think an Assault Weapons Ban is in our future but I do think a ban on magazines over 10 rounds is. Going off that logic, I would pick up as many magazines as you can even if they are 25 round 10/22 mags. If you see them, buy them. If you think you are good on GLOCK mags and you see them, buy them. If there is a magazine ban they will be worth their weight in gold. That being said I would not pay crazy prices for them, more on that below. Slickguns.com is a great site where both readers and dealers can post deals about guns and ammo. They also have a “today” section where you can see what has been posted in the last 24 hours. This has been very helpful with the market as dry as it is. Gun-deals.com is another great site. This site is more ammo based but is also updated by the community and rare items pop up from time to time. The real beauty of Gun-Deals is they have an ammo finder that is real time and will find you the ammo you are looking for. You may not like the price but they are just giving you the info. 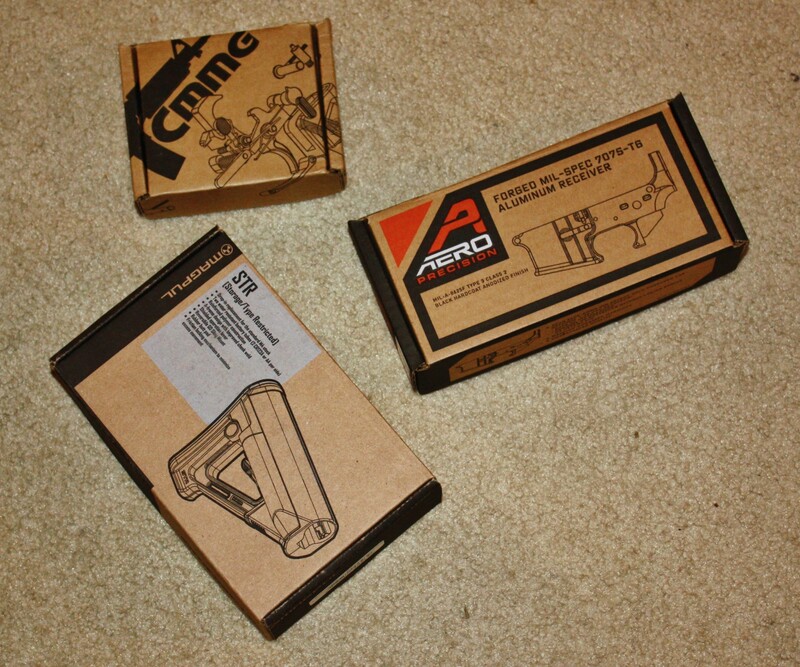 I was lucky enough the Saturday after Newtown to see AR lowers for sale on Slickguns. I figured I should pick up a few just to hedge if there was an Assault Weapons Ban (AWB). The prices had not gone up yet and it took about 2-3 weeks before the lowers shipped but I was very happy with the quality from Aero Precision. Most all the other parts you can find on Amazon (who is not price gouging) right now like a buffer tube kit (search for them as the stock keeps changing to much to put a link), Magpul STR Stock, Magpul MIAD MIssion ADaptable Grip, and Magpul Polymer Trigger Guard. If you need parts right now stick to the big boys who will actually get stock and are not price gouging. Sites like Brownells and Midway who in some cases are still allowing you to backorder. Stay up to date with where to find stuff on your favorite forums as the community is posting deals in real time. Check out the websites I listed above and ebay. Both can be your friends right now. Jerking the Trigger is doing a very helpful multi-part series on where to find hard to find parts and mags. I still think if you don’t need it, wait till things settle down. I have a feeling there will be a lot of used rifles for sale when this is all over as people who way over spent need to pay off some credit card bills. Don’t buy into the fear, analyze the problem and see where there are opportunities. There are a lot of idiots right not giving very bad advice. Be patient and logical and you will come out ahead. Please join the NRA to help solidify our gun rights, you have no idea how far your $25 will go right now. Also, please write you Congressman and Senators. Ruger has a great site that does it all for you and it takes less than 2 minutes.